Did you live in Dutchess County in the early 1960's? Did you happen to travel Route 55 from Pawling to Poughkeepsie? If you did then you remember Brenner's Ice Cream Shoppe. Today it is R. Ferris Real Estate. The red barn across from Freedom Plains Presbyterian church. The first Brenner's was located on Salt Point Turnpike in Poughkeepsie NY. 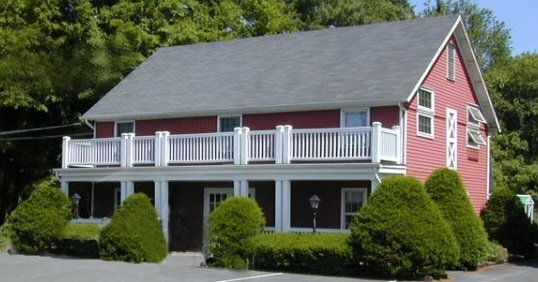 As their business grew they expanded and opened a second location on Route 55 in the red barn. Arlington High School's North Campus was just next door. Below is a photo of what the building looks like today, but not much has changed. Brenner's took the building, which was an old carriage barn and converted to make it an ice cream shoppe. After opening their LaGrange location, six locations were added... Arlington, Red Oaks Mill, Hyde Park, Fishkill, Dover Plains and Pleasant Valley. 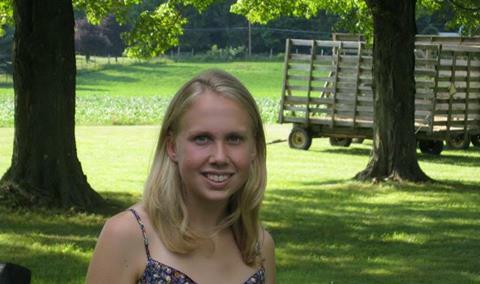 As I tell people my future plans for Zoe's I enjoy hearing stories about Brenner's and the memories they have. If you have any memories I would love to hear them, feel free to post them to my Facebook page. 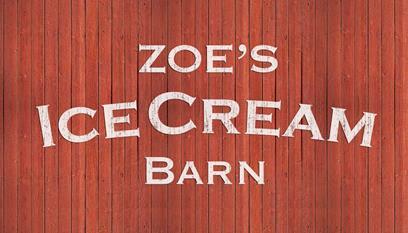 We are very excited to bring back homemade ice cream to LaGrange and it will be better than ever! 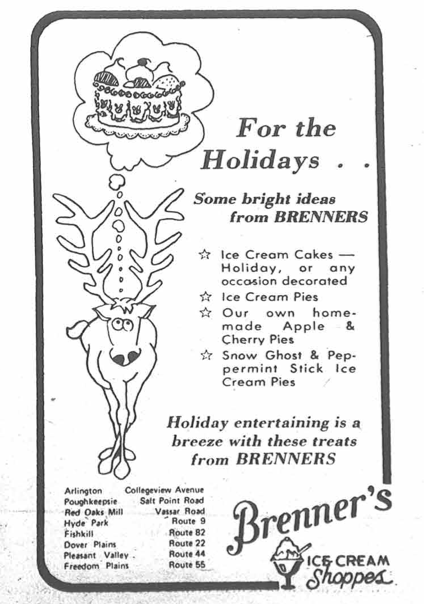 Above is a Brenners ad found in the Harlem Valley Times from Thursday December 14, 1972.